••• Image © David Franklin / Getty Images. So how do come up with recipes that are truly unique? Inspiration is all around you. If you are looking for a great place to start, read How to Create Mouth-Watering, Contest-Winning Recipes. 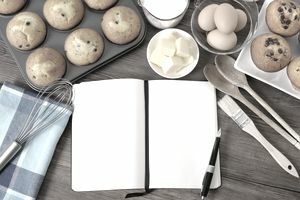 According to American copyright law, lists of ingredients or general methods of cooking are not protected by copyright. However, the cooking instructions or other text involving the recipe (such as a description of the finished dish or a history of where the recipe originated) are subject to copyright laws. Entire cookbooks are also protected by copyright. Ethically, copying a recipe and claiming it as your own is wrong. Furthermore, contest rules may stipulate that your recipe must be unpublished. To make the dish your own, and to make it eligible to enter recipe contests, make substantial changes to the dish. Of course, very simple recipes like a plain grilled cheese or hot dog are universal enough that they don't need attribution. Some recipe contests may have stricter regulations than others. For example, the Pillsbury Bake-Off, which awards over $1 million in prizes, searches for highly original entries. Derivative recipes will not be chosen to compete. To sum up: never submit a recipe contest entry that you've copied from someone else. Use other people's recipes only as inspiration, then add your own unique twists to improve your chances of winning and to avoid legal problems. For even more great advice on how to enter cooking contests and come out a winner, be sure to follow my expert tips on How to Win Recipe Contests. Submit an original recipe for a breakfast dish or drink and you could win one of four cash prizes valued between $75 and $500 or free books. Enter for chances to win $25,000 or other prizes for your delicious burger recipe that pairs with Sutter wines.